Bellevue, Wash. – Northwest Trophy & Awards, the largest trophy company in the Northwest, is looking to brighten things up at events with its rentable life-size replica Oscar award. The Oscar award is sure to be a good addition for parties, celebrations, or fiestas. Standing a full six and a half feet tall, Northwest Trophy’s life-size replica Oscar award is a big hit at events. Designed to signify the greatness of the annual Academy Awards, its star-like qualities make it a worthy centerpiece at an exclusive party. The life-size replica Oscar award, since its creation, has brought ample joy and fun to a multitude of households in the Bellevue area. From backyard fun to dining room delights, the award can be placed in any part of a home and still have the same strong impact. Northwest Trophy is in the business of creating trophies and awards that matter. Whether it’s an honorary award for a highly sought after accomplishment or a trophy for winning the state championship, the awards shop in Bellevue, WA, will have it. After the awards are given, though, there must always be a celebration. And having the life-size replica Oscar award in any corner will ultimately make that celebration a success, the company says. “We’re all about excitement here at Northwest Trophy and this Oscar award is definitely a thrilling piece to add to any event,” the owner said. To find out about pricing and availability of the life-size replica Oscar award, call (425) 485-4149. 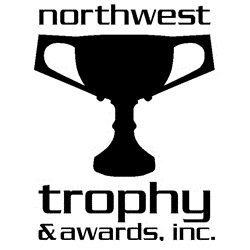 For more information regarding Northwest Trophy & Awards, Inc., please call (425) 641-3700 or visit www.nwtrophy.com. At Northwest Trophy and Awards Recognition of Excellence - Trophies, Plaques, Medals is a time honored way of memorializing great achievement. Custom and Special Order items available upon request. Three locations to serve you.